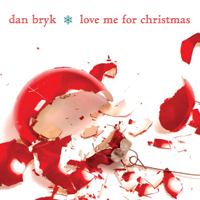 But back to the Christmas Record, it’s 7 to 9 songs depending on the format/download service, it’s mostly overdubbed solo by Bryk with some late-game assists from guitarists Tad Dreis, Jim Brantley and Tim Carless (all awesome singing songwriters in their own right…) and extra special guest vocalist Erin McGinn. The songs are a mix of originals and non-traditional covers. Dan explains the album’s genesis fully on his new blog. 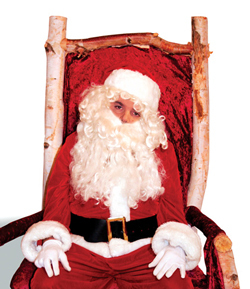 Of course, you can buy Christmas Record direct from Dan’s new web shop or a tasty variety of online retailers. If you’re already on Dan’s mailing list keep an eye out around Thanksgiving for a special discount coupon code on everything from the webshop until the end of December. So gosh, golly, sign up if you haven’t already, and give the gift of Bryk this Christmas. Check out the reams of critical praise for Christmas Record from places like Pitchfork and the Toronto Star! The artwork can be downloaded here.